While 1960s style oversized shades have become all the rage once more, for retro lovers who want something a little different the cat’s eye is the sunglasses style to have. The fifties inspired shape is becoming ever popular, meaning plenty of versions are available for whatever your budget. 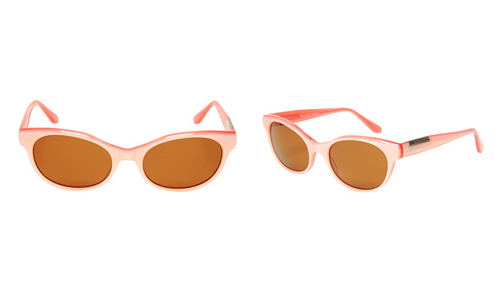 This Derek Lam designer pair are a great choice in bubblegum pink, for that rockabilly style 50s diner look. They’re available online from Browns for £210. I love them. I want them – but eesh the price! !